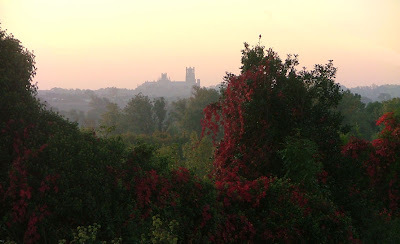 According to the colours in the landscape, Autumn is here at last. Today, however, it was so warm, sunny and calm that it would have graced July, rather than mid-October. Time to pick the last produce from the summer garden, starting with tiny, wonderfully sweet yellow tomatoes..
...and we still have lemons left for a few more Gin and Tonics. There are still quite a few flowers in the garden. These French Marigolds are grown in the kitchen garden to deflect the attention of the carrot flies away from the carrots. 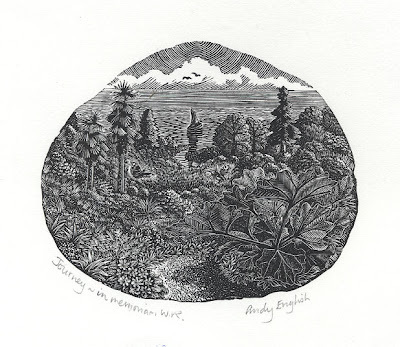 Meanwhile, I have been working on several engravings, including a large (for me) five inch square image for the portfolio marking the twenty-fifth anniversary of the relaunch of the Society Of Wood Engravers. Working on a lovely block made up of pieces of endgrain boxwood, made by Chris Daunt. 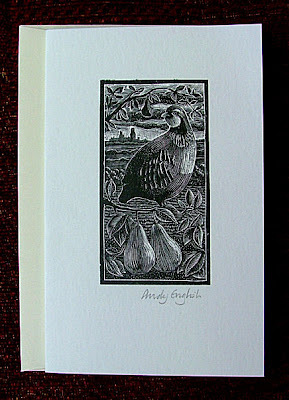 Twenty five engravers are each contributing a print for a portfolio. 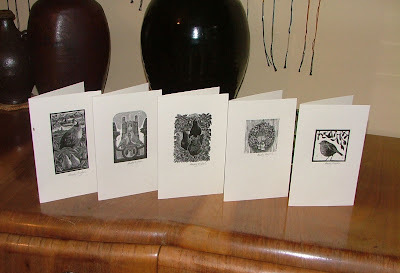 Every print is based on a number between one and twenty five. My number is twenty. The theme is a piano duet - twenty fingers (and thumbs). I also liked the association between the number twenty and the word score, which has both numerical and musical connotations. 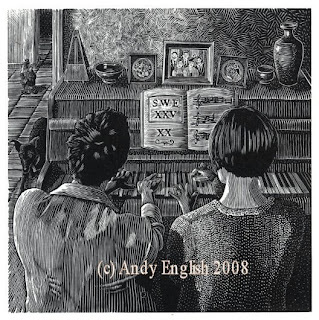 The next photograph shows the drawing of the image in reverse onto the darkened block. 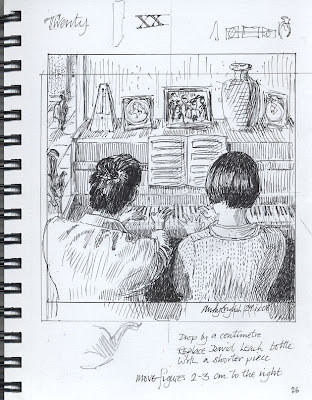 I am using simple perspective to draw the piano keys, with a vanishing point just above the centre of the block. 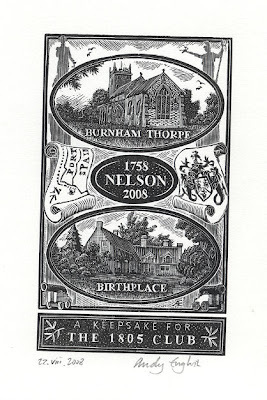 The engraving begins. The players are J and A, who both play the piano. I started with the highlights on A's jacket and hair. 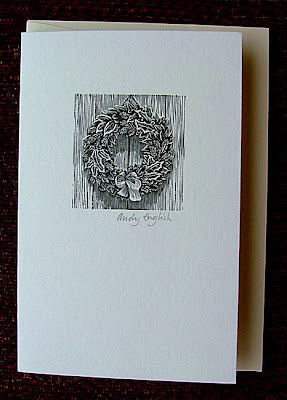 And here, much of the engraving is done. Click on any of the photographs to see more detail. More photographs of this project will follow in the next post. 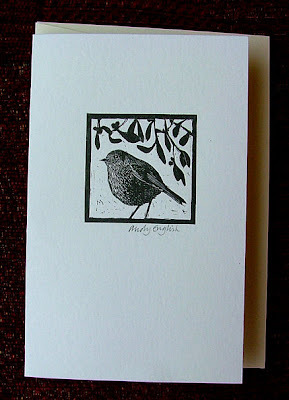 When I started engraving, printing could sometimes be rather a trial and I tended to print in fairly small batches. The Albions, and my years of experience using them allow me to go back to these earlier images and complete the editions relatively easily. 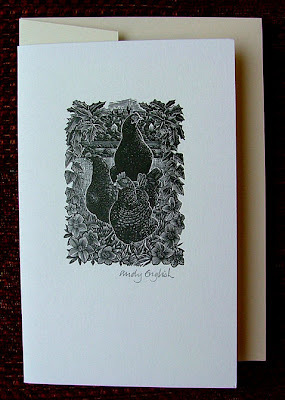 A recent engraving to be completed was Digging The Tree, one of my "Brothers" series. 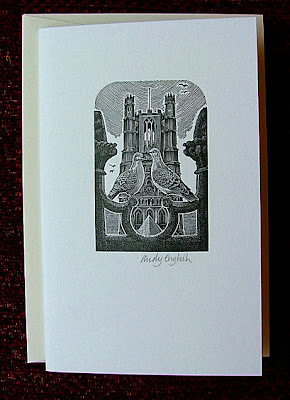 This engraving, which remains a favourite of mine, was also one of the first to feature Ely Cathedral in the background. 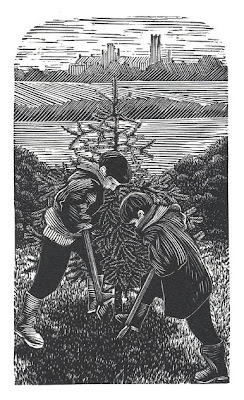 The scene sees our sons digging a Christmas tree ready to take it into the house and decorate it. 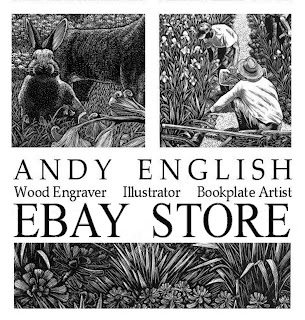 As a special offer to my readers, a number of these engravings are available here for a much reduced price.